A simple yet effective design conveying the rich seasonal colours and a single Christmas boot adorned with a red bow, filled to the brim of Christmas gifts. One of the great things about sending Christmas ecards for business is that if they are professionally designed and accompanied with a catchy headline or message, it can leave a lasting impression, particularly if you are a business owner and you send them to your client base. 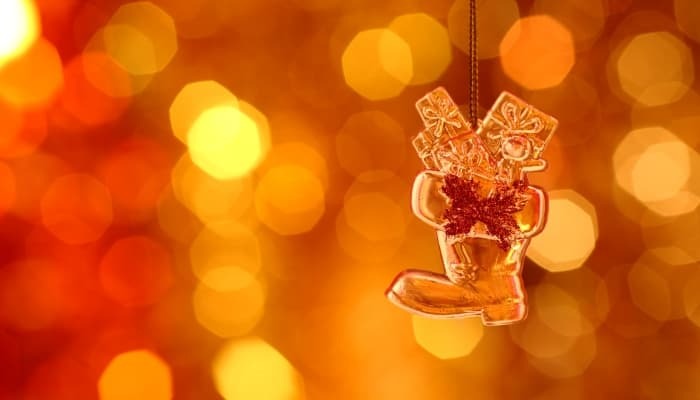 The magic of Christmas comes alive with this ‘Christmas Boot’ design, with a golden boot being the focal point of the design, representing Santa’s boot and the excitement of the days leading up to Christmas Eve. If you have a relative who are quite a distance away, then why not surprise them with a quality ecard? Customise the front of the card with a unique message just for them and write your own verse or note on the reverse. Our design services allow you to do that quickly and easily in just a few clicks. With the advent of the internet and the vast use of email, corporate holiday ecards are now the way to send festive wishes rather than the traditional Christmas holiday card. Whatever your requirements, we have a template to suit. Or, if you are looking for something really different, why not consult one of our designers who can work with you to create something special.